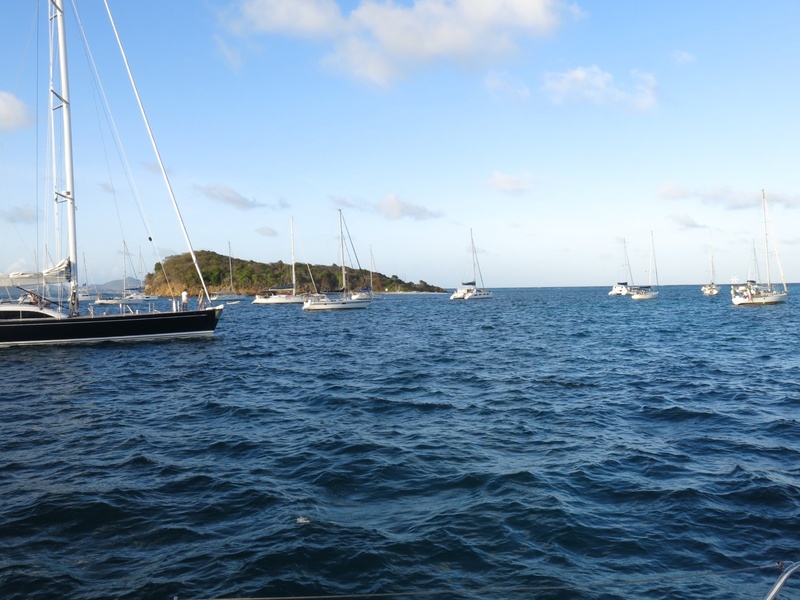 Four hours to windward brought us around the north side of Mayreau and down to Tobago Cays Marine Park. By 2:30 we were anchored and a short time later the park rangers came along to collect their $10 EC per head fee (we paid for 2 nights). 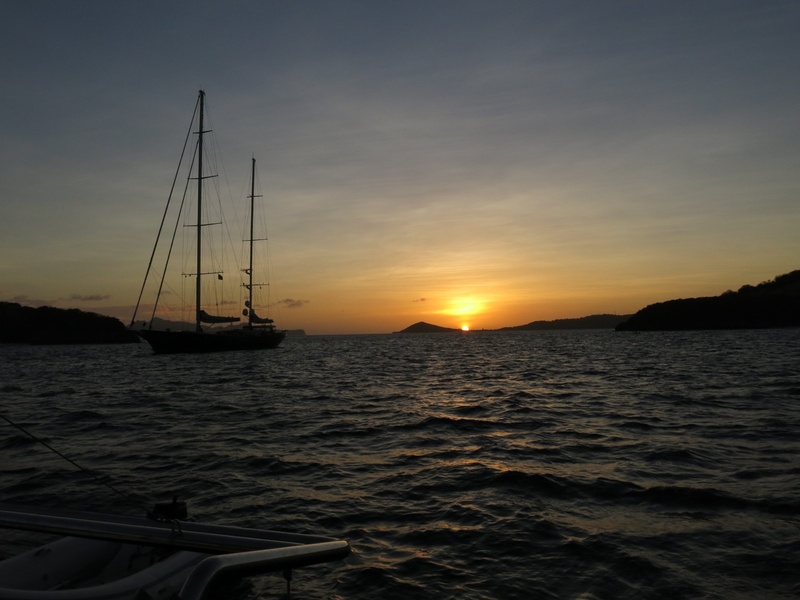 Tobago Cays are a beautiful group of islands protected by a reef on the easterly side. One of the little islands is host to a turtle sanctuary. We took the dinghy across to the beach on the island with the turtle sanctuary, seeing one turtle on the way. Donning our snorkelling gear on the beach we set off in the water in search of turtles. Only Rick and Linda were successful, seeing 2 turtles on their swim. 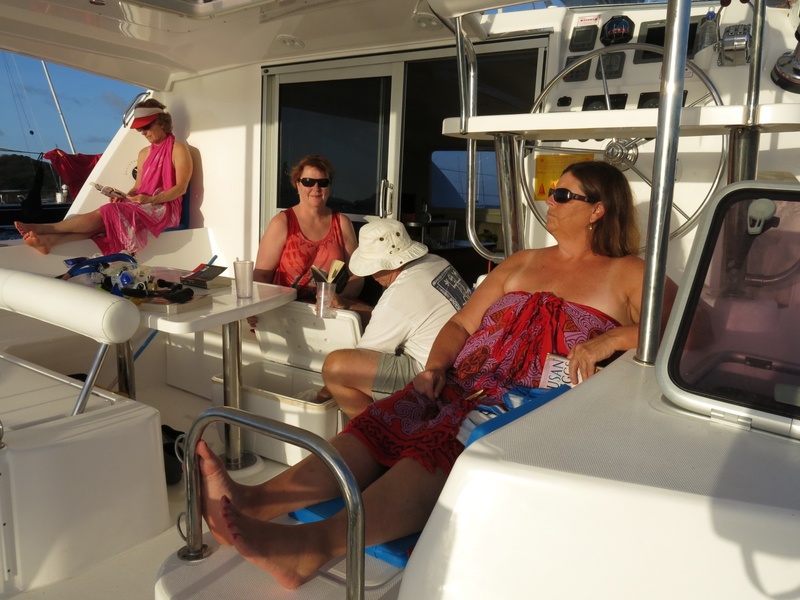 After a short stroll around the beach we returned to the boat where we spent more time lounging around. At one point we did see a small shark swimming in the water between us and the boat next to us. The afternoon was capped off by our usual routine: watching the sunset while we enjoyed happy hour. Dinner tonight was shrimp with garlic and lime on a bed of rice, accompanied by a Pinot Grigio. Absolutely delicious! wow! Ok now for sure I am coming on the next hot trip…… the photos are beautiful!